3,146 square miles: The number of square miles of "Development Focus Areas" (DFA) designated by Federal and State agencies in the preferred alternative where large-scale wind, solar, and geothermal energy development will be encouraged or fast-tracked. Although it is important to note that the DRECP does not anticipate that every acre of the DFA will be developed, the total area of DFAs is approximately four times the amount of land already urbanized or paved over by our desert cities. About 576 square miles of the DFAs fall on public lands managed by the BLM, and the rest on private or other non-federal lands. 285 square miles: The number of square miles that would be designated as study areas and variance lands where renewable energy may be considered after additional environmental analysis and administrative review. The study areas are broken up into two different types - special analysis areas and future assessment areas - and were designated because Interior recognizes the value of these lands to the renewable energy industry, but also the potential value of cultural and biological resources there; Interior believes more information is needed before it determines whether they should be bulldozed or preserved. 182 square miles: Renewable energy projects already approved throughout the DRECP, according to the cumulative impacts analysis. Of these 182 square miles of approved projects, as much as 100 square miles have already been industrialized or bulldozed. Many more square miles of projects are under environmental review. 10%: The portion of the 22 million acre DRECP plan area where large-scale renewable energy will be encouraged or considered within DFAs and study areas. One out of every ten acres of the region will be considered a prime area for renewable energy generation. As I mentioned in my last post before the DRECP was released, the California Desert Conservation Area was specifically identified by Congress as requiring careful management for its unique conservation values, and to balance multiple competing human uses of this beautiful landscape. The DRECP attempts to make way for 20,000 megawatts of large-scale renewable energy in a region under pressure by urban sprawl, overdrawn groundwater supplies, multiple large military bases and training centers, mining, grazing, and various types of outdoor recreation. So, identifying ten percent of the entire DRECP planning area as DFAs strongly signals that the renewable energy industry - despite being a latecomer to the long line of desert users and abusers - is being given a prized status. Especially when you consider that large-scale renewable energy facilities typically exclude many other uses by closing open trails, killing wildlife, and disrupting scenic vistas. The draft DRECP fails to fully evaluate an alternative focused on distributed generation, even though the large-scale renewable energy projects that it supports are quickly becoming outdated. We would not need to bulldoze a single acre for large-scale renewable energy if we fully tapped the potential of energy conservation (shutting off appliances we are not using), energy efficiency (engineering appliances so they use less energy), and the scalability of solar, wind, and energy storage. These options mean that our clean energy future could fit in our backyards, on our rooftops, in our garage, and over parking lots. The DRECP acknowledges calls by the public for more distributed generation and less desert destruction, but refuses to evaluate a distributed generation alternative primarily because the Federal and State entities that developed the plan have orders from their bosses (the President and California Governor Jerry Brown) to facilitate the expansion of utility-scale renewable energy on wildlands. These State and Federal policies are a relatively blunt tool against climate change because they set a target for generation without giving much guidance on how to value things like migratory birds, desert tortoises, beautiful sunsets, or the wilderness experience. (The policies also cater to business interests more sincerely than they answer the demand for climate action, as evident in the White House's approval of coal, oil, and gas leases on public lands elsewhere in the United States that are inconsistent with its own statements on the urgency of addressing our fossil fuel footprint.) The DRECP is an attempt to more deftly direct the impacts of these utility-scale renewable energy policies, but the plan's underestimation of distributed generation is very unfortunate. The DRECP agencies could partially fix this flaw if they re-examine the baseline assumptions of how much renewable energy we will need from utility-scale versus distributed generation, and then reduce the total acreage of DFAs. The DRECP is built around the assumption that the desert region will need to shoulder the burden of 20,000 megawatts of utility-scale renewable energy generation, but acknowledging the potential of distributed generation could ease this burden on our wildlands. And Larger Projects on Already-Disturbed Lands? The DRECP preferred alternative does identify already-disturbed lands - such as current or former agricultural lands - as DFAs, with a particular concentration of such DFAs in the western Mojave and in the Imperial Valley. While I think this is much better than bulldozing intact desert habitat, it is important to note that building large-scale renewable energy projects on already-disturbed lands is not without consequence. Removing farm fields and putting in solar panels can increase air pollution with wind-blown dust, and alters local economies. Also, there are some species of wildlife that make use of agricultural lands, such as the western burrowing owl. The location of the already-disturbed lands is also important to consider. For example, we would not want to build a bird-scorching solar power tower along the Colorado River migratory bird flyway, even if it was built on already-disturbed lands. The DRECP attempts to protect key landscapes for wildlife and recreation through conservation designations - federal and non-federal. On lands mostly under private or local jurisdiction, a general conservation plan identifies areas where conservation easements and zoning may help protect key open spaces. On lands administered by the Bureau of Land Management (BLM), the DRECP designates additional areas of critical environmental concern (ACEC), National Landscape Conservation System lands, and recreation management areas. While these BLM designations will help steer destructive uses away from some of the larger blocks of intact desert, the overarching concern is that these designations are not as durable as Wilderness Areas or Monuments. In other words, the BLM could undo the ACECs or NLCS designations a few years from now. All-in-all, the DRECP preferred alternative would bestow welcomed conservation designations on some key public lands. However, the draft plan leaves some ticking time bombs and is another swipe of the scalpel at one of the largest intact ecosystems remaining in the lower 48 United States. For example, the Silurian Valley contains a large "special analysis area" that might accommodate Iberdrola's pending plans for a large wind and solar project. 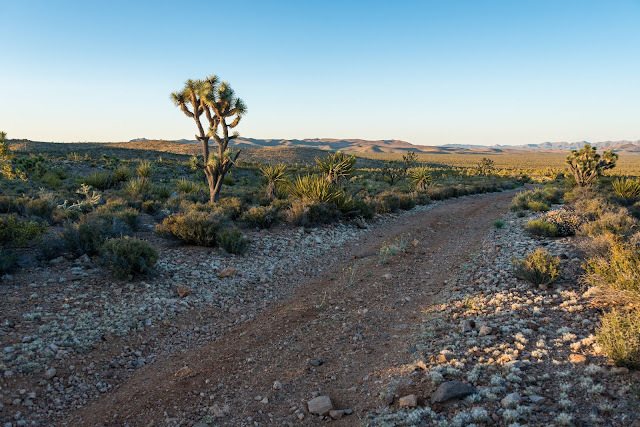 Much of the Hidden Hills area - situated among wilderness areas in California, and the beautiful Pahrump Valley that spans both California and Nevada - would be designated as a DFA. And a "future assessment area" in the Cadiz Valley means that some day a solar power tower could be built in this serene landscape, reaching hundreds of feet into the air to spoil the look and feel of a stretch of desert where the predominant human development is a lonely two lane highway - the Historic Route 66. Desert habitat in the western Mojave Desert, around Lucerne Valley, and in the Imperial Valley would be under even more stress since much of the DFAs are concentrated in these regions. Much of this land currently falls under county jurisdiction. This will have substantial implications for already fragmented and beleaguered Joshua tree and pinyon woodland habitat along the foothills of the San Bernardino and San Gabriel Mountains, and the grasslands of the Antelope Valley. 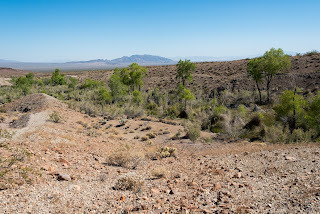 The DRECP appears to offer a compromise by protecting some narrow wildlife corridors, but that may be all that remains if human development - housing, farms, and now renewable energy - fills in the open space of what is currently a rural checkerboard of desert where jackrabbits and coyotes cross peoples' front yards transiting from one patch of desert to the next. In a plan covering over 22 million acres, it can be difficult to figure out how some of our favorite corners of the desert will be affected. For the DFAs and conservation designations covering private or non-federal lands, it is best to consider these proposals in the context of your local or county zoning and project permitting process. If you live next to an open patch of desert that is in private hands, local officials and zoning policies will have the ultimate say on what can be built on these non-federal lands, regardless of whether or not a particular parcel is considered a DFA or conservation area in the DRECP. For desert lands that are managed by the BLM, look closely at how the BLM plans to manage these lands under the DRECP. For example, an ACEC may exclude renewable energy development, but allow other uses that could still have an impact on wildlife. Many of the details for BLM land use plan changes are buried in Appendix L of the DRECP. Here are a few issues I have identified, so far. Silurian Valley: As mentioned above, the special analysis area in the Silurian Valley is troublesome. If Interior decided to move forward with allowing any development in the Silurian Valley, we would lose the untrammeled qualities that make this place such a majestic gateway to the desert for travelers exiting Interstate 15. Mojave National Preserve: The draft DRECP proposes a "future assessment area" immediately adjacent to the Mojave National Preserve at the intersection of the Ivanpah and Clark Mountains. If Interior ultimately decides to approve renewable energy development here, it would destroy wildlife habitat and introduce industrial development to the viewshed of even more of the scenic Preserve. Lucerne and Apply Valleys: The DRECP preferred alternative would designate an ACEC around the Juniper Flats area and the Granite Mountains east of Apple Valley that would likely foil attempts by wind energy companies to build on land prized for outdoor recreation and recognized as important golden eagle habitat. However, DFAs would stretch across much of the lower elevation areas of this region, decimating the checkerboard of remaining creosote and yucca scrub habitat that connect the Juniper Flats and Granite Mountains. Much of the DFAs here fall on private lands. 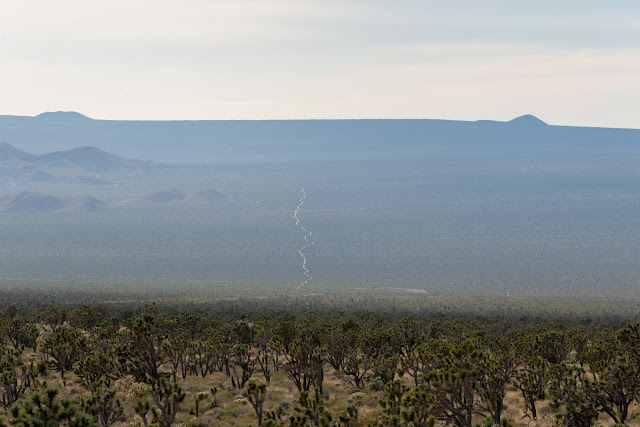 Ancient Creosote Rings: Situated near the Johnson Valley Off-Highway Vehicle Area, the King Clone Creosote Ring - one of the oldest living organisms on the planet - is currently protected by a small ACEC that is surrounded by mostly undeveloped desert habitat. The draft DRECP adds National Landscape Conservation status to the existing ACEC, but would designate most of the open desert around it as a DFA. Again, much of the DFAs around the rings fall on private or State lands, not BLM. Cady Mountains: The ghost of the Calico Solar project lives on. This project was approved but never built because of troubles with the "suncatcher" technology and financing. The old right-of-way for the Calico Solar project remains undesignated in the draft DRECP. Presumably this would still count as a solar exclusion zone under the Solar Energy Development Policy finalized in 2012, but it seems odd that this area was not designated as an ACEC given that studies pointed out the significant importance of the entire right-of-way for wildlife - including white-margined beardtongue, Mojave fringe-toed lizard, and desert tortoise. Desert Tortoise Natural Area: This sanctuary for the desert tortoise near California City would lose about 250 acres at its northern edge that would then be designated as part of a larger DFA, according to documents in Appendix L of the DRECP. I will need to continue studying the plan and look forward to hearing other people's concerns from across the desert on how the DRECP will impact our desert wildlands. You can provide your input on the draft DRECP to Federal and State agencies by e-mail or regular mail, or at any one of several public meetings scheduled in California towns and cities. Comments are ultimately due by January 9, 2015. Stay tuned for more as we continue to look through the draft DRECP.